After winning their third NBA championship in the last four years, the Golden State Warriors actually did get better by signing DeMarcus Cousins to a one-year deal for $5.3 million. If Cousins successfully recovers from his Achilles-heel injury the Warriors’ chances of winning their fourth title in the last five years will in all likelihood increase as long the rest of their All-Star starters remain healthy during the 2018-19 season. While Cousins comes back the Warriors lineup could feature Curry as usual at point guard, Klay Thompson at shooting guard, Kevin Durant at small forward, Draymond Green at power forward, and Jordan Bell at center while Cousins recovers from his injury. 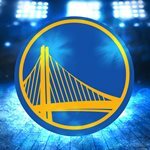 The men on the bench for the Warriors will be Quinn Cook, Shaun Livingston, Andre Iguodala, Jonas Jerebko and Kevon Looney. The Warriors lost some rotation players from last year in Nick Young, Zaza Pachulia, and JaVale McGee, who signed with the Los Angeles Lakers to play along LeBron James. But that should be no problems as overall the Warriors got better with their new acquisitions and once again are a very deep team. Cousins, when healthy, provides the Warriors with a very versatile scoring option at the center position. He’s a dominant post player that can go against opposing centers with his strength and size and use it to get easy points in the paint. He can also drive and score near the rim as well as well as score from outside with his solid shooting as well. He has amazing passing for a big guy and is a good upgrade over Pachulia, who left for the Detroit Pistons. His superior passing and high basketball IQ will allow him to find Curry, Thompson, and others for easy twos on cuts, as well as find open shooters outside when he’s double-teamed. Jerebko will fill Omri Caspi’s old role as he’s a great scorer that can spread the floor with his three-point shooting. The Swedish forward is very underrated defensively as he can protect the rim with his great timing and switch to cover the guards and contest their shots as he’s capable of keeping them in front of him thanks to his quick feet. With all these pieces in place, the Warriors should have another great season and make another run at a championship. Although other teams in the Western Conference have gotten better, it’s unlikely they can stop the Warriors from reaching their fifth straight NBA finals. Although several teams in the Eastern Conference have solid and deep rosters it’s unlikely they can beat the Warriors in a seven-game series if they reach the finals healthy. Barring any injuries or unexpected suspensions look for the Warriors to win around 65 games and earn another title as they have the talent, coaching staff and system in place to be successful once again.